[map] Red Mountain near Spaulding-Ishkooda Road; likely co-located on the WMJJ tower. HD-2: Rock - "The Vulcan"
HD-3: Alternative Rock - "Alt 99.1"
Signal is excellent all over the Jefferson and Shelby county region. Signal used to be weak from Tuscaloosa and west due to co-channel interference, but after the station moved to the Red Mountain tower farms (and WACR in Columbus moved to Tupelo) the signal is now very good. [Bhamwiki] ** note: this entry contains erroneous information on WQEN. [Q104 Tribute] Tribute site to the days when WQEN was "Super Q 104" and just a Gadsden station. [YouTube] Promotional video for "Rock 94.9" that was briefly on the HD3/translator combo. 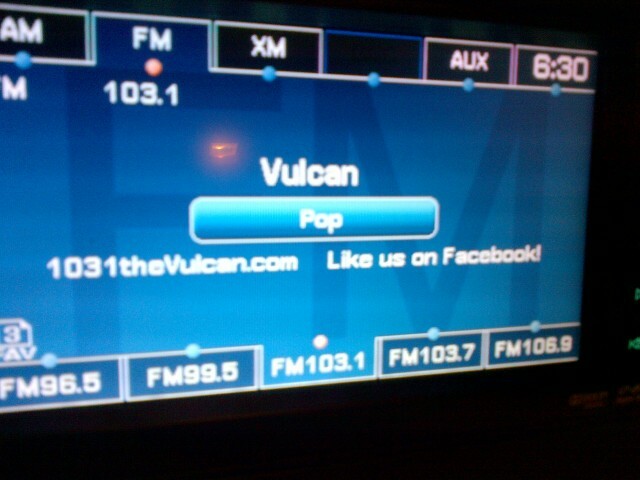 [Image] RDS display from the HD-2's FM translator on a GMC Yukon's radio, from January 2012. [Image] RDS display from an Insignia portable radio, showing the Radio Text and PS (call sign) fields. From June 2017. 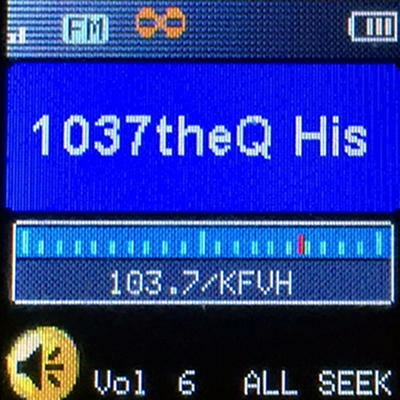 [Image] HD PAD data display on an Insignia HD radio for the HD1 channel. [Image] HD PAD data display on an Insignia HD radio for the HD2 channel. [Image] HD PAD data display on an Insignia HD radio for the HD3 channel, from February 2019. [Studio] Street View imagery of the iHeartMedia studio space in Birmingham. Automation equipment was installed for the beautiful music format, which lasted about nine months. The station then ventured into what was then AM-dominated territory by going Top 40 with the slogan "Q-104". It became a huge success, becoming at one time the highest rated FM station in Alabama. Around late 1977 or early 1978, the transmitter was moved to a better location on Chandler Mountain near the community of Steele, in St. Clair county. The new location, with a boost to 100 kW of power, gave Q-104 quite a large coverage area. At some point in the mid? 80's the station tweaked the format a bit and changed their slogan to "The Q". That failed and they went back to "Q-104". Want to hear what Super Q 104 sounded like in its heyday? Check out this great tribute website. Popular syndicated morning show Rick and Bubba started here in 1992 and got big on before moving off to greener pastures in Birmingham in 1999. Later that same year, the station also moved, relocating to a tower location near Springville and a little bit less power. The format went from straight up Top 40 and AC to a real hot AC/CHR mix. In the summer of 2005 the station again made a transmitter move, this time to WMJJ's tower (most likely) on Red Mountain, with a power increase back up to 100kW. The station was also re-licensed from Gadsden to the Birmingham suburb of Trussville. When Clear Channel installed HD digital transmitter facilities in Birmingham, WQEN picked up a subchannel, relaying iHeart Radio's Club Phusion top 40 format that was heavy on dance rotations. 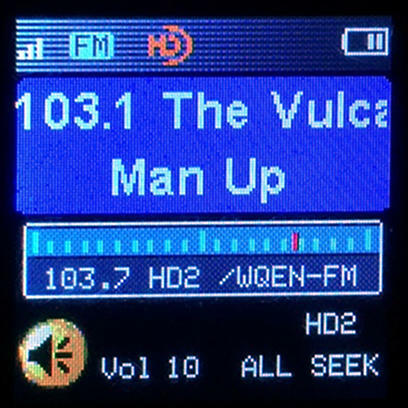 In January 2011 they flipped the HD-2 to rock as "The Vulcan" to feed a newly acquired translator on 103.1 MHz, which broadcasts from the same tower on Red Mountain as WQEN. At the same time this started, WERC-AM also flipped to rock. Although a "vote" was held to determine the new format and the station stunted with a rotating cast of music genres, it was apparent from the beginning that the format would be rock. In mid-August 2014, the station added an HD3 channel, with classic rock as "Rock 94.9", which is also being heard on a translator in town. 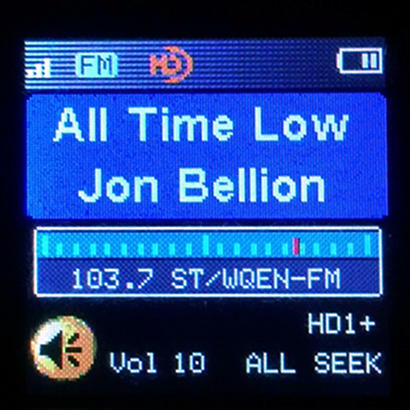 Near the start of September 2015, the HD-3 and translator combo flipped to alternative rock as "Alt 94.9". This marks the first time Birmingham has had a full time alternative rock station in nearly 10 years. The rock only lasted a little under two years, though, as the translator was sold by Red Mountain Broadcasting to Courtney French for use with WATV AM in Birmingham in late July 2017. That deal took several months to finalize, but once the 94.9 translator changed to WATV, iHeart moved the alt. rock to W256CD licensed to Fultondale, on 99.1 MHz.